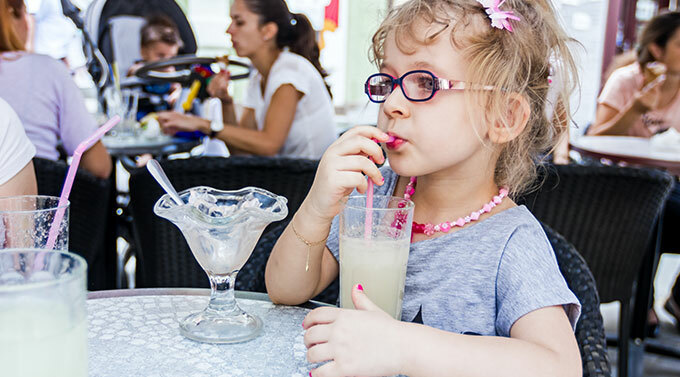 The first eyeglasses are believed to have been invented in Venice, Italy, in the 13th century. Obviously, a lot has happened since. 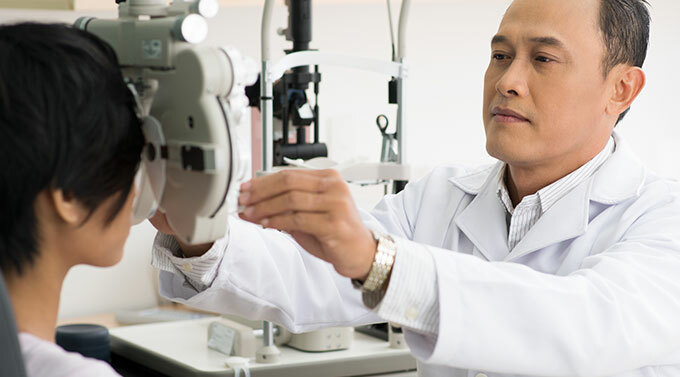 Today, the optical industry is a large industry that manufactures millions of eyeglasses every day. The production must have a gentle handling of the products, maintain a high production flow and permit traceability. In addition, the industry must live up to the customers’ requirements for manufacturing new eyeglasses within a couple of days. The optical industry is a steadily growing industry that has experienced a lot of changes over the years. Many of the manual operations have become automated and the manufacturing machines are producing more products today than ever before. A couple of years back, a factory produced around 300 to 400 eyeglasses per hour, and today, about 600 to 800. The production rate increases and so does the need for eyeglasses. Especially during the industry’s yearly peaks when, for example, school starts. The lenses need to go through a number of production steps before they can be delivered to the customers. After visiting an optician and getting a prescription on what kind of lenses you need, the digital prescription is sent to the optical lab. The labs use an LMS-system (Laboratory Management System) that monitors all the incoming orders. The very first step in the production is to pick the correct lenses from the optical lab, based on the information from the digital prescription. The LMS-system assigns a specific number to the lenses before each pair of lenses are placed on an optical tray. The optical tray has a left pocket for the left lens and a right pocket for the right lens. The optical tray then transports the lenses through the production line. The next step is to attach a layer of tape over each lens to fasten a block and a chuck that allow the machines to grab a hold of the chuck and work the lens. Then, the lenses pass through a generator that grinds down the lenses so they get the right thickness and curves. The fourth step is a polisher that polishes the lenses to give them a nice and smooth finish. Step five in the process is the surface department where the lenses get for example an anti-reflecting coating. After the lenses are finalized in the surface department, they enter the finishing department where an edger cuts out the lenses so they match the frame chosen by the customer. The lenses are then melted into the frame in the mounting station before the eyeglasses are packed and shipped back to the optician or directly to the customer. One of the most important things in the optical industry is to have a high level of traceability. The LMS-system attaches a barcode on each optical tray, which includes all information about the lenses. The machines in the production line read the barcodes to find out what needs to be done to each specific lens. Thus, the LMS-system tracks the lenses from start to finish and once they come out at the end of the production line, the system knows exactly where to transport the eyeglasses and to whom they belong. Traceability in the optical industry has become a lot more effective due to automation. Even though the industry is not where it wants to be yet, the future looks bright since more and more automation and communication between machines are coming along in the optical industry. There are a lot of requirements and guidelines for how to handle the products in the optical industry. For example, the trays and the products must be handled at a certain speed. 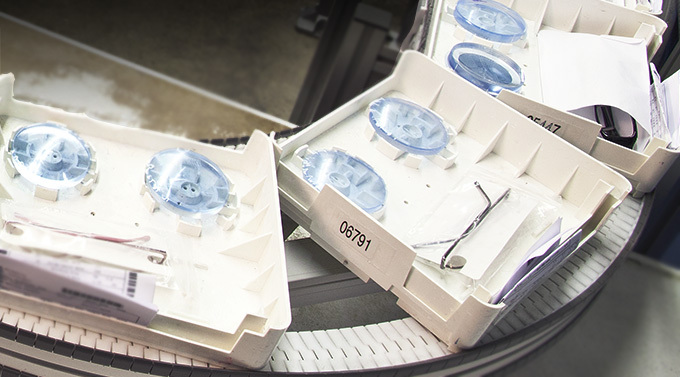 Too high production speed can make it difficult for the machines to pick up the lenses from the trays. There must also be specific angles on the production line to protect the fragile products. As in most industries, the optical production must be up and running at all times. 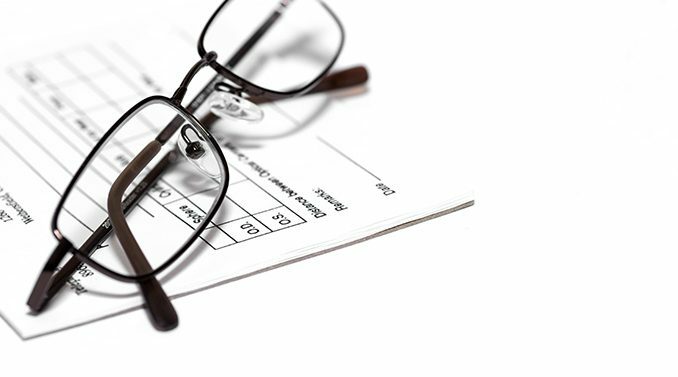 However, unlike many other industries, eyeglasses are manufactured by order and not by an estimated customer need. Each product is individual and is manufactured based on individual needs and requirements. Thus, since most of the eyeglasses already have owners, the production must have short lead times. This means that it should not take more than a couple of days before the customer receives his/her eyeglasses. This manufacturing rate can be obtained thanks to advancements in new technology and equipment. FlexLink has been involved in the optical industry for over a decade. We assist our optical customers in all production phases, such as designing production lines for a new factory or expanding an existing one. There are many things to take into consideration when designing a production line and creating an optimal production flow. Therefore, we always make sure to include our customers in every step of the process. Our goal is to meet our customers’ needs and maintain a high production rate. We are confident that the future holds a lot of exciting new solutions that will improve the production efficiency in the optical industry even more. Technology has already come a long way and continues to evolve. We look forward to staying at the forefront of new technologies and helping our optical customers to improve their productions even more. I hope you found my article about the optical industry interesting. Would you like to know more? Feel free to visit our website, read more blog articles on our blog or interact with us on social media.